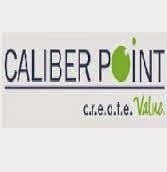 Caliber Point Walkin drive in Freshers from 13th to 23rd June 2014. Caliber Point Jobs in Chennai. Caliber Point Walkin drive for Executive position. Any Graduate freshers are eligible to attend this drive. Interested and eligible candidates can directly walkin to below mentioned address.